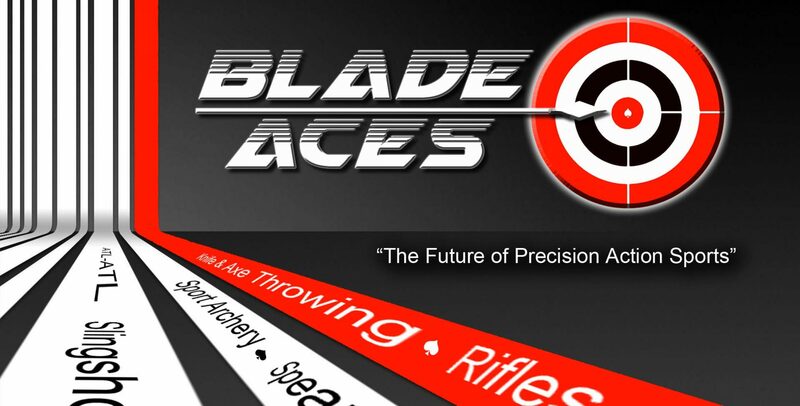 It was a wild and crazy 2018 for Blade Aces. After the Game of Throws, we prepared for the Texas State Knife and Axe Mountainman Competition in Huntsville, TX organized by our Board members, Chris and Sarah Miller. Melody Cuenca came home with the title of Texas State Champion in the Women’s Division. It was a great event and a lot of mountainman fun! In June, we joined firearms accessory giant, Hogue Inc. and Hogue Knives in partnership and they designed the first ever Blade Aces throwing knife and ax for use by our team for competition. They also sponsored us financially which allowed us to prepare for the upcoming events in the months ahead. It is a great honor to be part of such an amazing, family-owned company. Their exceptionally high-quality products speak for themselves and to be given the opportunity to provide input and to Beta-test the knife and ax design was an incredible experience. In August, we were unable to compete in the Eurothrow competition because we were in South Dakota for three weeks for the Sturgis Motorcycle Rally. Sturgis Buffalo Chip event which drew a massive amount of our time, sponsorship money and effort, was the largest knife and axe throwing event ever held in the United States. It was sponsored by Hogue Knives, Sturgis Guns, Bullseye Blades, Patriot Holsters and had amazing prizes like TWO AR-15 rifles from Springfield Armory, holsters from Patriot Holsters and several knives from Hogue Knives and Jeremy Beintema at Bullseye Blades. Our expansive booth was over 8,000 sq. ft. and attracted motorcycle riders from all over the world. Then Melody went to England to compete at the Essex Knife and Axe Throwing championships sponsored by KATTA http://www.ebthrowers.co.uk/home-page. She brought the custom designed Hogue throwing knives for the first time in competition and represented Blade Aces Team USA. It was her fifth time competing in Europe and second in the UK. She came home with four First Place titles and two Second Place titles. She was also able to visit our Eurothrow friends, Jan Oswald and Rolf Tsuchdin in Switzerland. Team Blade Aces then went to Austin Texas for the IKTHOF World Championships to help them run their event. With Melody and Sarah behind the tent, the event went smoothly; starting and ending on time. Chris ‘the Killer’ Miller still managed to win second place in both conventional knife and hawk despite a badly injured throwing hand. They also made friends with Evan Walters, the commissioner for WATL 9World Axe Throwing League) and revisited old friends in Austin. Now it’s time for the Game of Throws II. This year will debut an event like no one has ever seen before. After months of trials and revisions, this event will revolutionize the sport of knife throwing. It is exciting, fast-paced, entertaining and as fun as any competitive sport on ESPN. Unfortunately, the rules of the event are TOP SECRET and will not be released until Thursday night April 25th during the General Meeting at the GOT2. So make sure you attend if you want to be part of the action. This will be a demonstration event so invite all your friends to be part of Knife Throwing History. And that is the year 2018 in a nutshell. we hope you can make it to the Game of Throws II this year and experience The Ultimate in Knife & Ax Throwing Competitions. Sponsored by Hogue Knives, Premiere of the Killer Grand Prix. Portion of proceeds to benefit Semperfifund.org.